A few weeks ago, due to some electricity network problems, I was forced to disconnect from wall outlets electric appliances, including PCs. On this occasion I reminded the days when I drew without PC or graphics software. 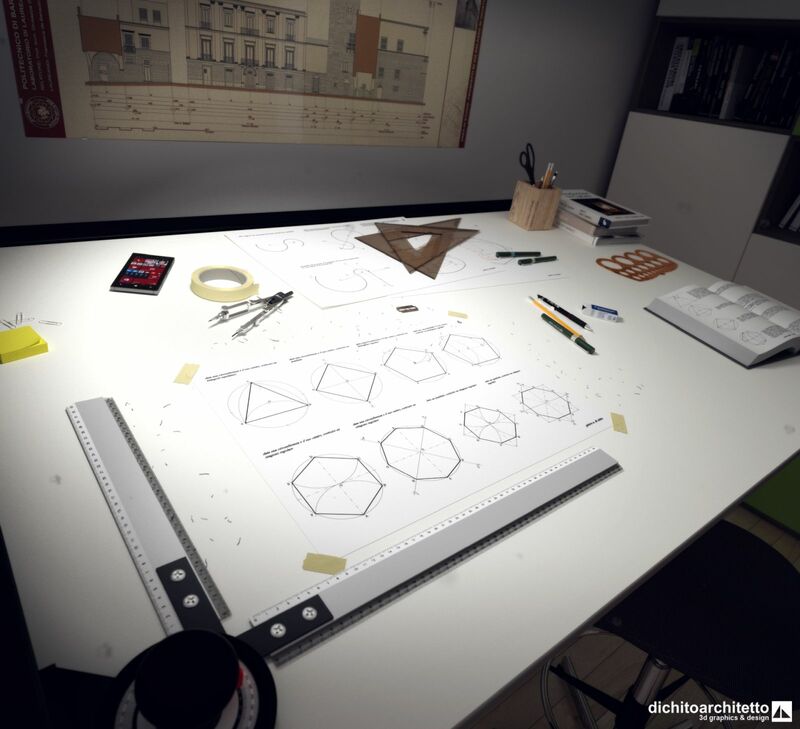 So, to celebrate those old days, I thought to create this scene in blender: “Old drawing tools”; drawing board, chair, drawing squares, rapidograph, compass, circle tool, scotch, rubber and smartphone (the only intruder in this scene) were modeled for the occasion; drawing on the wall and table are from my university works.